After earning her B.S. in Microbiology at San Diego State University, Erin came to Boston to study Biological and Biomedical Sciences at Harvard University. Despite enjoying cancer research immensely, she found her true passion to be providing emotional support services for children affected by cancer, and co-founded Camp Casco. Erin completed her Master of Science degree in 2015, and now feels incredibly lucky to be able to work with the most inspiring families and dedicated volunteers at Camp Casco throughout the year. Dr. Michael Goldberg attended the University of Toronto as an undergraduate, and earned his Master of Philosophy degree at the University of Cambridge before moving to Boston to pursue his Ph.D. at Massachusetts Institute of Technology. Currently, as an Assistant Professor at Dana-Farber Cancer Institute/Harvard Medical School, Michael runs a research lab that is working towards developing novel therapies in order to improve outcomes for cancer patients. After earning her B.S. in Biomedical Engineering from the University of Rochester, a love of biomedical research brought Whitney to the Boston area. She is currently pursuing her Ph.D. in Biological and Biomedical Sciences at Harvard Medical School with additional training in Human Biology and Translational Medicine. Whitney studies the role of epigenetics in skin cancer to identify new targets for therapeutic intervention in Dr. David Fisher's laboratory. Whitney joined Camp Casco early on, when co-founders Erin Fletcher and Dr. Michael Goldberg were seeking additional help from the Harvard community in 2014. Her drive, passion, and commitment to helping those affected by cancer led her to take on a commanding role in the organization as our current Chief Development Officer as the head of our Grant Committee. Ryan Starr, B.S., J.D., L.L.M. Ryan earned his Bachelor of Science degree from Northeastern before venturing to Penn State for law school. He attended Georgetown University for his Master of Laws before returning to Boston as an Associate for DLA Piper LLP. There, he focuses on international corporate and business structuring and international taxation, primarily by assisting U.S.-based companies expand operations outside of the United States, and the design and implementation of efficient supply-chain and international structures. Ryan joined Camp Casco's Board after generously donating his time and services to help us incorporate and qualify for our nonprofit status. Ryan says, "I... jumped at the chance to work with them. Being offered a board position was truly an honor and one that I couldn’t imagine turning down." Joe Kahn is the Founder and Owner of LINX (Premier Classes and Camps. He is an MBA graduate of Harvard Business School and has his undergraduate degree from Rensselaer Polytechnic Institute (RPI) in Troy, N.Y. Before LINX, Joe worked as a consultant at McKinsey & Co. and KCI (before it was acquired by FTI), in startups and turnarounds. Through LINX, Joe has created an innovative environment in which children explore and experience new things and learn along the way. He has proven that children learn and retain experiences most notably in fun based classes and camps, which is the hallmark of LINX. Joe brought his years of camp expertise to Camp Casco when he joined our Board in 2015. 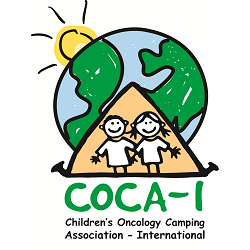 Joe says, "I am excited to be a part of Camp Casco and share my knowledge of running camps to help make Camp Casco a special place for kids with cancer. My wish is that no child would ever have cancer, but if they do, to help make their camp experiences as great as they can be." Clifford S. Webster, B.A., M.B.A.
Clifford pursued a Bachelor of Arts degree in Economics from Bowdoin University in Maine before earning his M.B.A. from Boston University. Clifford served as Assistant Vice President of the Bank of New England from 1981 to 1985. Afterwards, he joined Northwestern Mutual Life, where he is a currently a Wealth Management Advisor. Clifford brought his financial expertise and years of networking savvy to our Board in December 2015. Clifford explains, "Camp Casco had a mission with which I could identify and was a small enough organization where I feel I can have an impact."